The Bay of Isles Leisure Centre is a great place for recreation and relaxation, with something for all the family. Including a choice of four heated pools, a fully equipped gym, fitness classes, access to personal training, a crèche and Learn to Swim programs. We are here to help you achieve your goals as you become committed to your Fitness Program. Speak to our friendly staff today about your membership options. 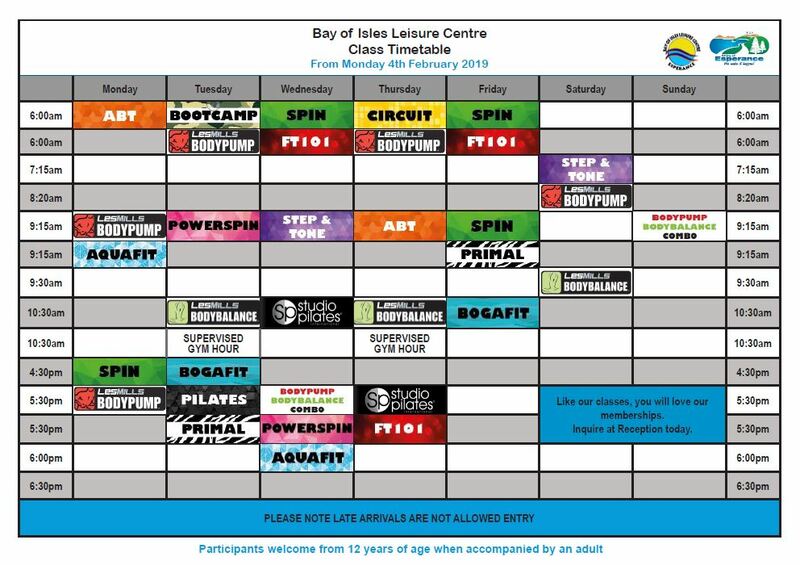 The Bay of Isles Leisure Centre offers a range of exciting health and fitness classes. Click the image below for a larger version. Not sure what to expect of the class? Descriptions of the activities involved can be found here. The Bay of Isles Leisure Centre offers a child-minding service so you can enjoy a leisurely swim, health and fitness class, workout or just a quiet catch up with friends at the cafe. View the Crèche Registration form here. This facility is not a licensed child care facility under the Child Care Services Act 2007. Parents/guardians must remain on the premises while children are attending the crèche. Terms and conditions apply for this service. Looking for a fun-filled and exciting birthday party experience complete with food, cake and inflatables? 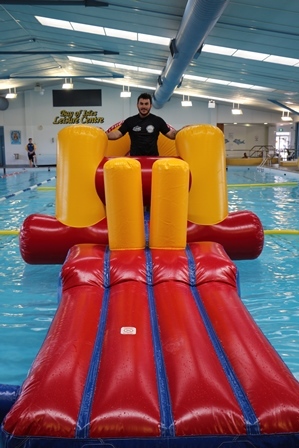 Why not let us do all the work for you by holding your child’s next birthday party at the Bay of isles Leisure Centre. You relax and spend quality time with your guests and give your child a birthday they will always remember. Let our friendly staff take care of all your party needs - view the Party Booking form here.